The night of Boka is an event created three centuries ago, and through it the city became known beyond the borders of Montenegro, for its creativity and the spirit of the inhabitants of Kotor. The event got its name after the Boka Bay where Kotor is located. 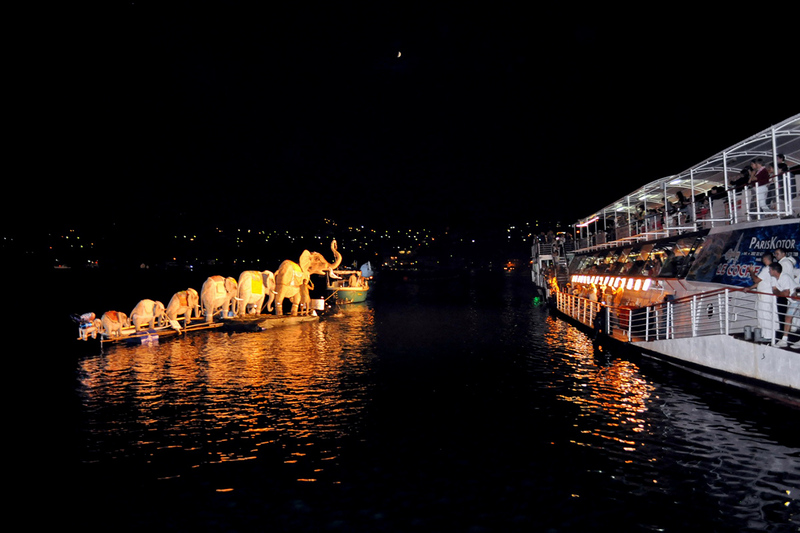 It is a kind of masquerade imaginatively decorated boats sailing along the bay one after another in front of the Old Town, followed by a variety of lighting effects. At the end of the day, the best boat gets a special award, and after that, the celebration continues till the morning. Boka night gathers thousands of people every year, being one of the most popular events in Montenegro. Each year, wine and fish are "joined" in a festivity called Days of Wine and Bleak. The festivities are held in the town of Virpazar, once Montenegro's biggest market place, on the very banks of the lake. In addition to great entreatment, as well as tastings of great domestic Crmnica wines, the stands served fritters and cheese. 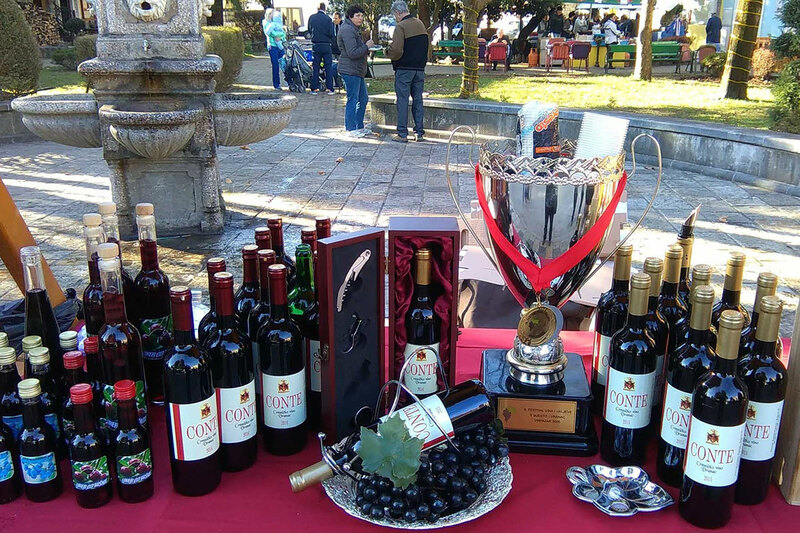 Festival of Wine and Bleak is a traditional event, gathering many exhibitors, but also visitors and tourists. Since 1970, CIOFF works for the safeguarding, promotion and diffusion of traditional culture and folklore. At present, CIOFF worldwide membership covers 105 countries of the World and it is estimated that over 1 million people, including over 30 000 folklore dance and music groups and folk arts organizations are associated with CIOFF through their CIOFF National Selections Worldwide. 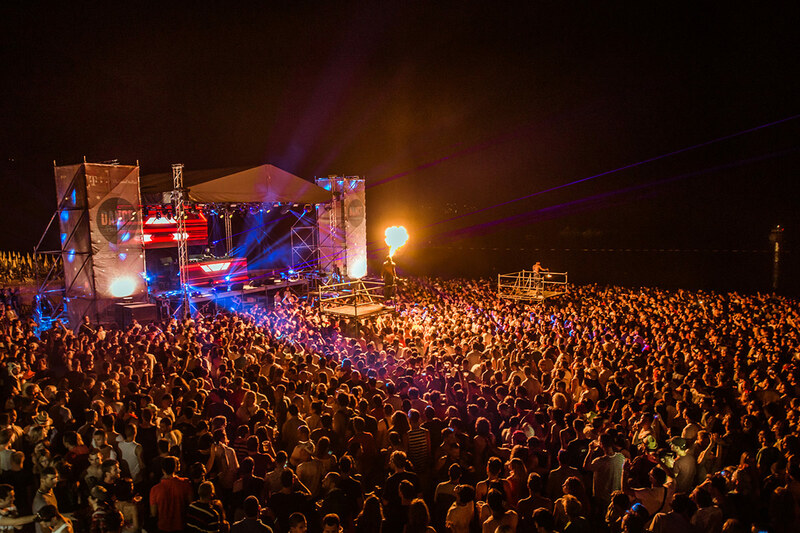 Sea Dance Festival is an award-winning music festival which is held on Europe’s hottest summer destination, Jaz beach in the city of Budva, since July 2014. The festival has been part of the EXIT Adventure, an extension of EXIT Festival. The stunning locations, world renowned artists and outstanding productions make this festival a must-see. It is a tradition that originates from the IX century. The festivities in the glory of the protector of the town, St. Tryphon (Sveti Tripun), begin at the end of January, and they end in the first days of February. 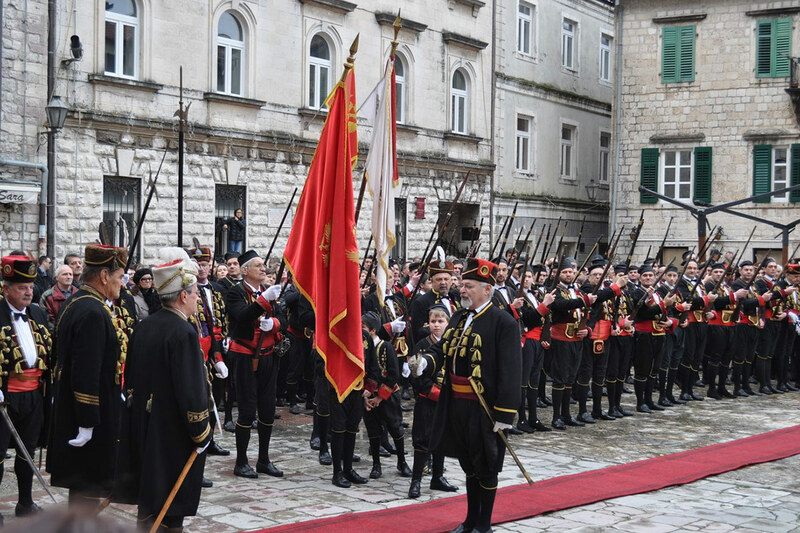 On the location in front of the old Kotor Cathedral of Sveti Tripun, Boka Navy first performs a dance circle, then follows the mass, and then goes a procession through the town. 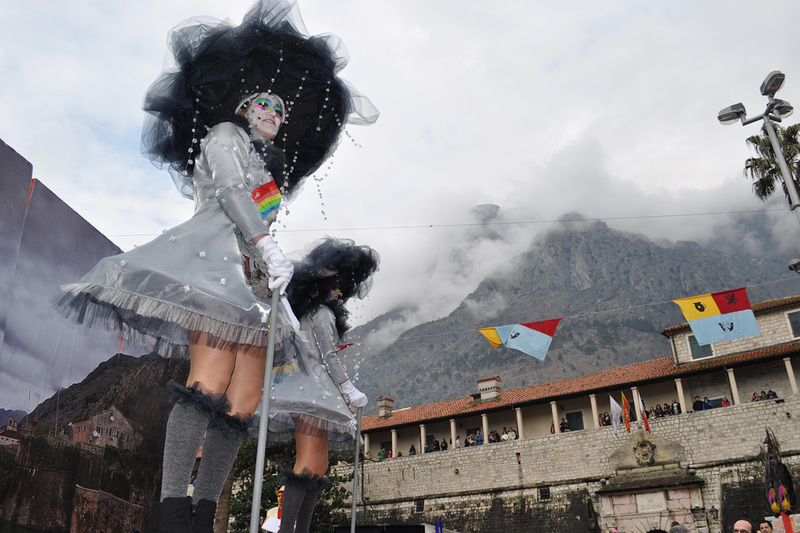 The festivity is accompanied by the introspection of church choirs, by city music, and dances of folklore associations. Traditional Winter Carnival is a unique animation event that is held in Kotor every year in February. 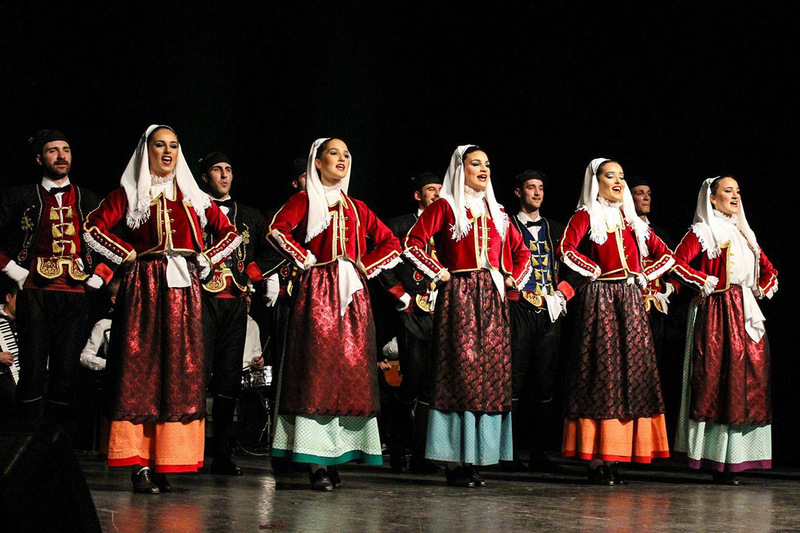 In a variety of masks and carnival groups from Kotor, Montenegro, many visitors can enjoy the colors of the original costumes, rhythm, theater shows, local cuisine, Majorettes acts, fireworks and a masked ball. At the carnival all ages and socio-professional categories grouped participate according to their interests, cultural and creative needs and opportunities. This is surely the biggest manifestation in winter and has thousands of people. Some of them are a part of this magnificent show, while others come as visitors.